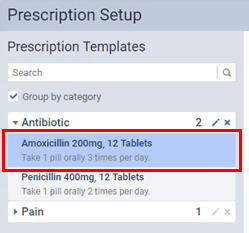 You can delete a prescription template at any time. This does not affect prescriptions that have already been entered for patients. 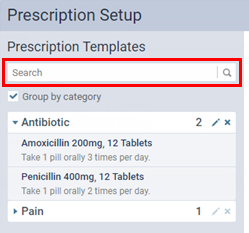 To search for an existing template, under Prescription Templates, in the Search box, begin typing part of a drug name. The matching templates appear as a list or in categories (which are expandable and collapsible sections). Continue typing as needed to narrow the search results. 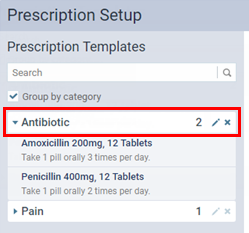 If Group by category is selected, expand a section to locate a prescription template in that category. 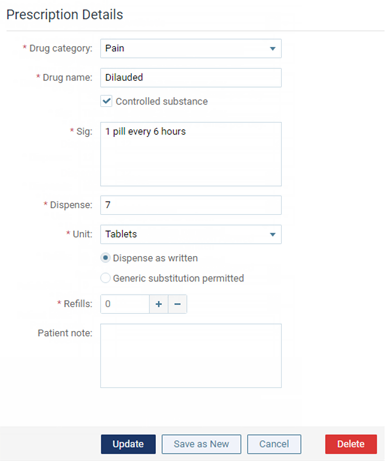 The options for editing the prescription template become available.